Good. Good condition book without dust jacket. Laminated boards are clean with little wear, mild bumping to corners and some splitting spine ends. Book has clean and bright contents with no markings except small name ffep. Good. 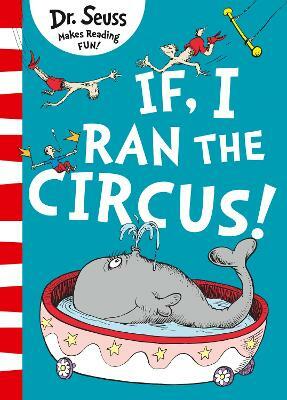 If I Ran the Circus (Classic Seuss) by Dr. Seuss, 2003-03-01. Sewn binding. Cloth over boards. 64 p. Contains: Illustrations. Classic Seuss. Intended for a juvenile audience.